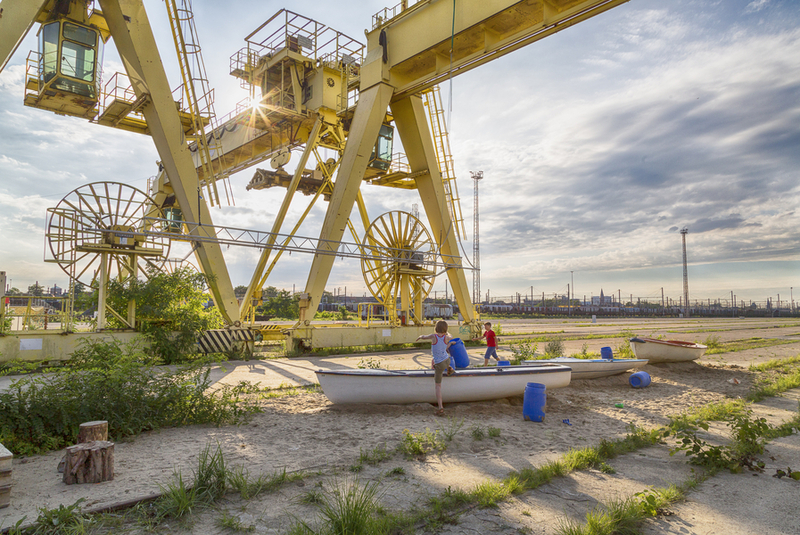 Spoor Oost is the newest place to play, exercise or relax in Antwerp. The former railway yard is home to large events like the Sinksenfoor and Borgerwood but you can also go there for small-scale sports and relaxation activities. The 10-hectare terrain along the Noordersingel in Borgerhout offers something for everyone. In the green zone (the unpaved part of the terrain) you'll find a hill with play equipment, a stand with seats, and picnic tables. On the paved part of Spoor Oost a runners circuit, basketball & volleyball courts, and football pitches are marked out. Between various events, the paved area is also used as a car park for the Trix, Lotto Arena and Sportpaleis concert halls that are located close by. With a clear wink to its industrial past, four old train carriages were installed. Each carriage has its own function and character. The carriages are located on a platform. This is a great place to hang out with the entire family. Between July 6th and september 2nd from wednesday untill sunday, you can enjoy a beverage in the sun on the terrace of "Bar Oost" or order a bite to eat after exercising. 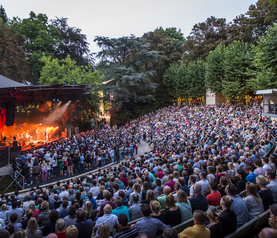 Open-air theatre with a varied programme, including concerts, family performances and free Friday night concerts.